The cast of Avengers: Endgame embarked on the film’s press tour this past weekend. Naturally, the press had a lot of questions about Marvel Studios’ biggest offering to date. 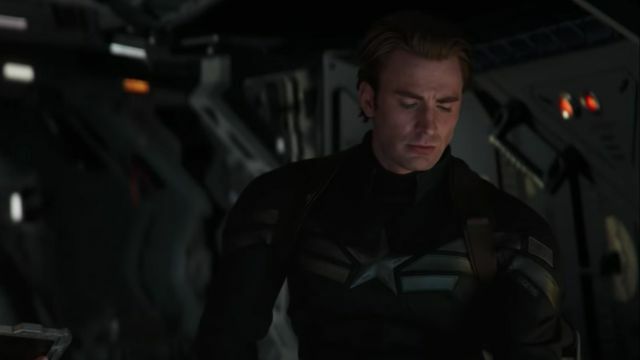 Since Chris Evans has been the most transparent about his probable exit from the MCU, he fielded plenty of inquiries about Captain America’s fate. Sadly, it doesn’t sound like Evans was joking when he teased plans to hang up Cap’s shield. When asked for his thoughts on Steve Rogers’ arc (via CBR), he once again gave the impression that this is the end of the road for the Star-Spangled Avenger. Unfortunately, co-director Joe Russo cut Evans off with a buzzer sound before he could finish this sentence. However, this didn’t stop Evans from reflecting on his character’s relationship with his fellow Avengers and the actors playing them. Evans also seemed to assure moviegoers that the MCU is in good hands with its newest cavalcade of heroes. Are you ready to say goodbye to Chris Evan’s take on Captain America when Avengers: Endgame rolls into theaters? Or do you think that this is just an act of Marvel misdirection? Tell us what you think in the comment section below!